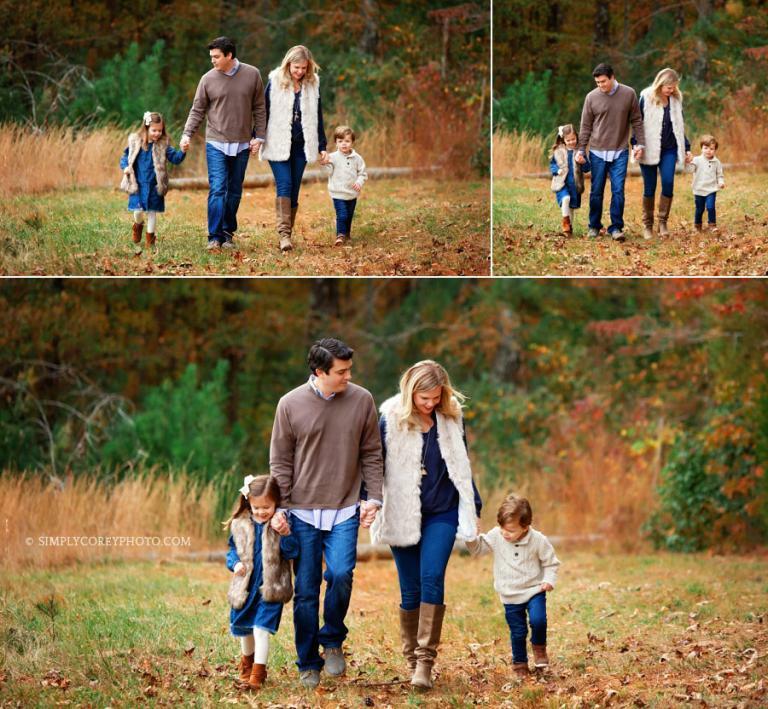 This beautiful family was referred to me by Mom’s sister – a family I’ve been photographing for many years! It was so nice to be able to capture these memories for them. You would never guess that their little ones were a bit shy and wanted very little to do with photos that day. I was able to photograph so many smiles and sweet moments! Like this one! ♥ Aren’t they adorable? Both of the kids had so much fun running around in the tall golden grass! I love the matching furry vests Mom and daughter wore – and those giggles were contagious. The fall colors were perfect during their session last November too! So many giggles! I love it! Simply Corey Photography is located in West Georgia, near Newnan, Villa Rica, Carrollton, Douglasville, and Bremen. 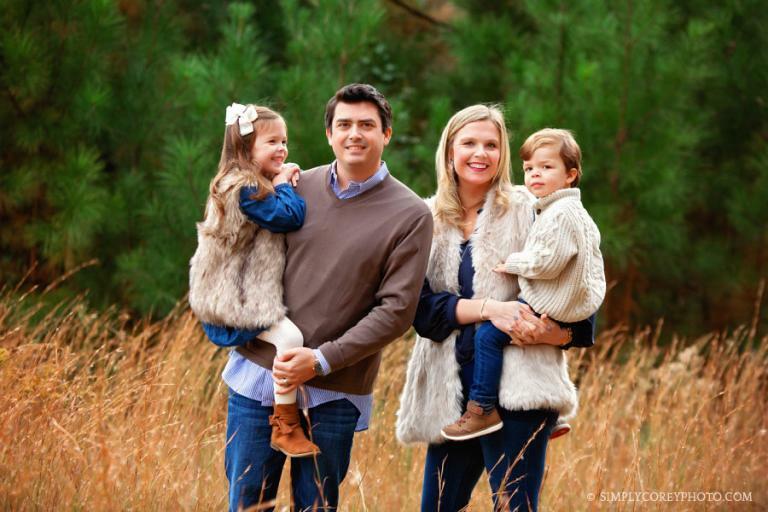 I opened my photography business in late 2004 and have photographed many babies, children, and families throughout metro Atlanta since then. Custom portrait sessions may take place at my private outdoor location (featured in this session) or the location of your choice within greater Atlanta. Locations farther than 30 miles from me will require a small drive fee. Looking for more information? I have put some together for kids and family sessions with Simply Corey Photography, as well as several other types of portrait sessions. Each link provides examples of my work, what to expect, and starting rates. You may request detailed pricing and my availability by sending me an email! Be sure to subscribe to the email newsletter! Simply Corey Photography sends out exclusive photography specials, mini session announcements, and other news from time to time. I would also love for you to connect with Simply Corey Photography on Facebook and Instagram! And “What to Wear” inspiration for your upcoming portrait sessions can be found on the Simply Corey Photography Pinterest boards.